Large two bedroom brick home on a corner lot featuring a sizable front porch, and new roof & windows. The main floor houses beautiful, refinished, hardwood floors, arched entries, and unique built-ins. New paint throughout. 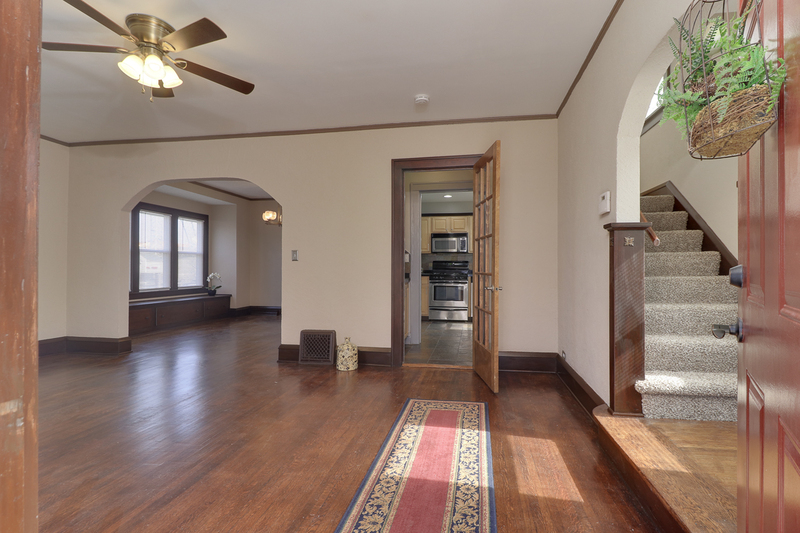 Upstairs you’ll find the massive master bedroom, 2nd bedroom, and full bath. All new upstairs carpet. Additional features include the full basement & attached 1 car garage.